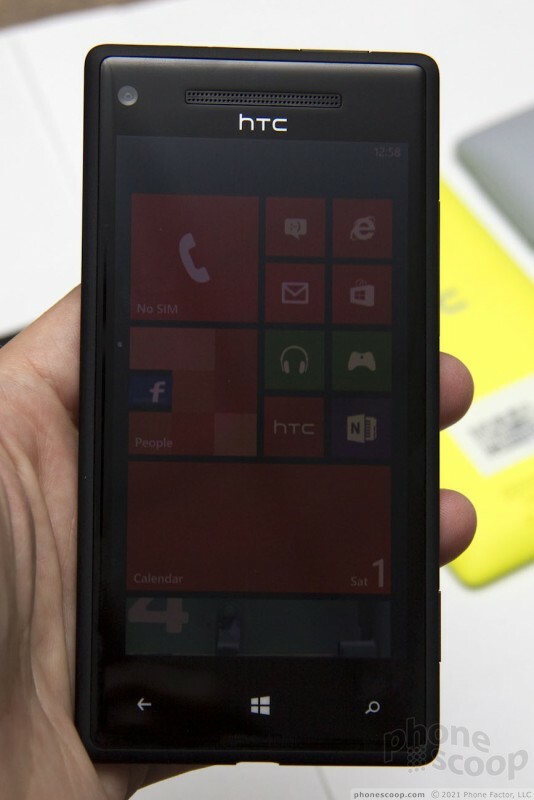 Although Nokia supposedly enjoys a special relationship with Microsoft in the phone space, it's HTC that will make wat are arguably the flagship, iconic phones for the launch of Microsoft's Windows Phone 8 software. 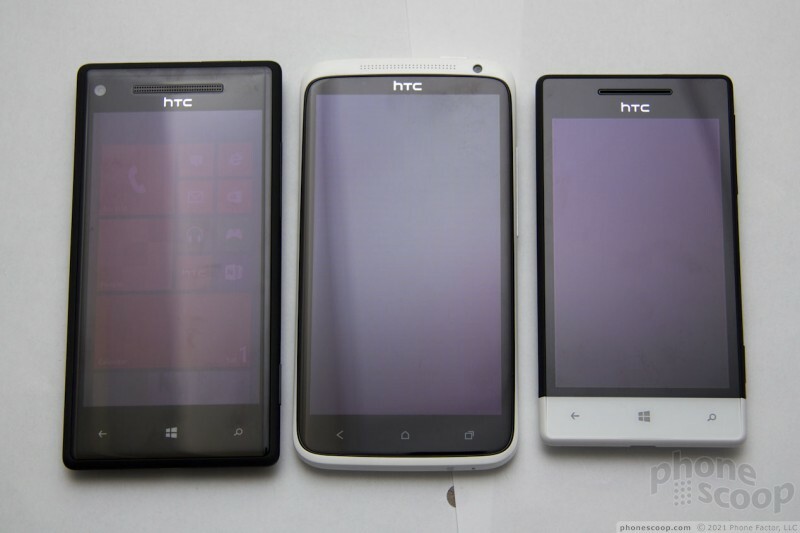 For starters, Microsoft has given HTC exclusive permission to put "Windows Phone 8" right in the phone name; the two phones will be known as the "Windows Phone 8X by HTC" and "Windows Phone 8S by HTC". Microsoft is also teaming up with HTC for a joint marketing campaign for the phones. 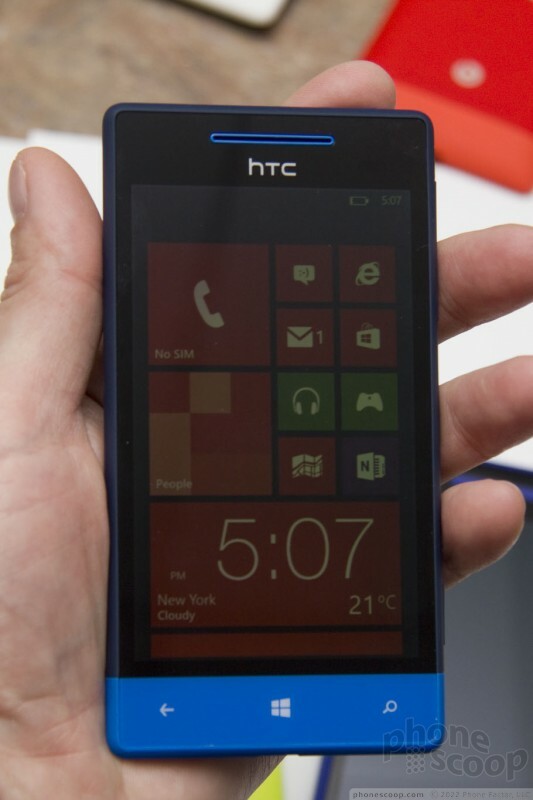 It's nice for HTC that Microsoft is giving them some special branding powers, but surely this specific execution will lead to some confusion. 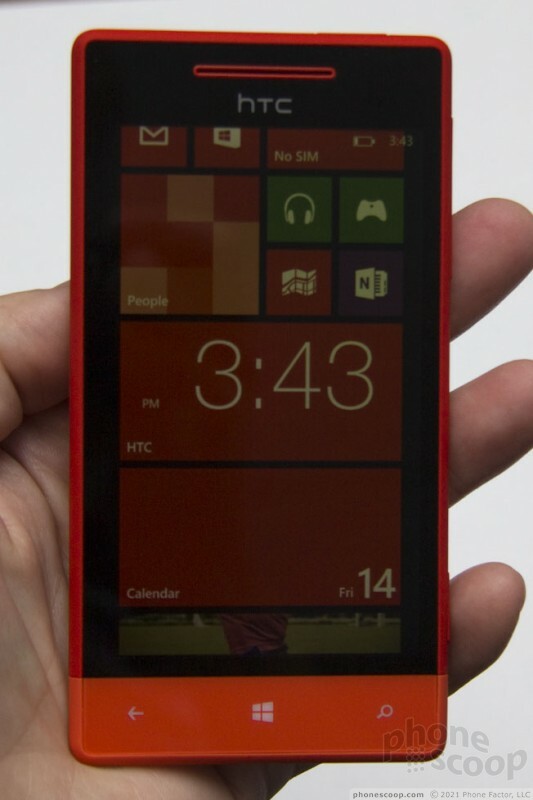 "Windows Phone 8X" sounds like an enhanced version of the OS, not a hardware model. 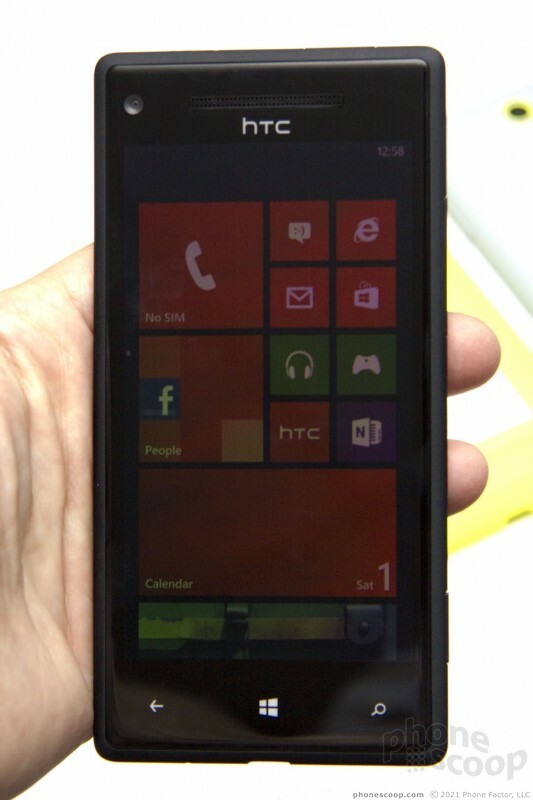 Or, many consumers may be confused the other way, thinking "Windows Phone 8" is a line of HTC phones, rather than an OS from Microsoft. Either way, other manufacturers can't be happy about the confusion this will surely create. 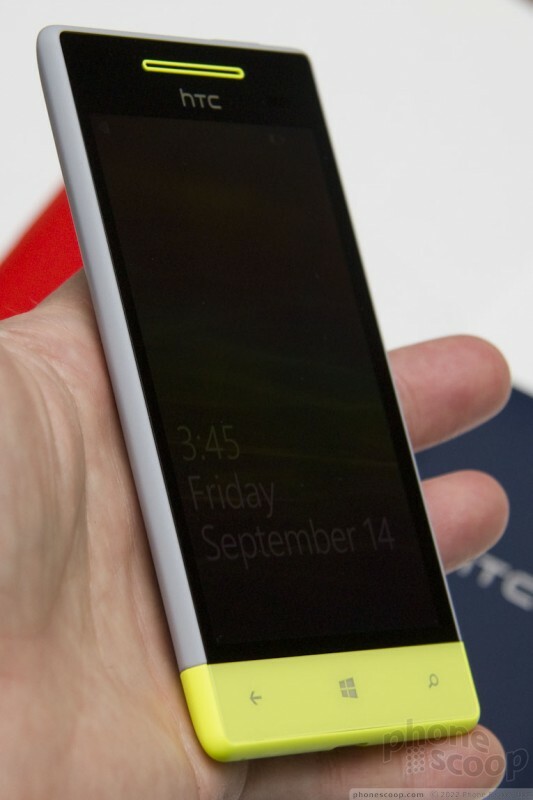 Both phones have a design that echoes Microsoft's software design language, with a square-ish design that sports bright colors against black. 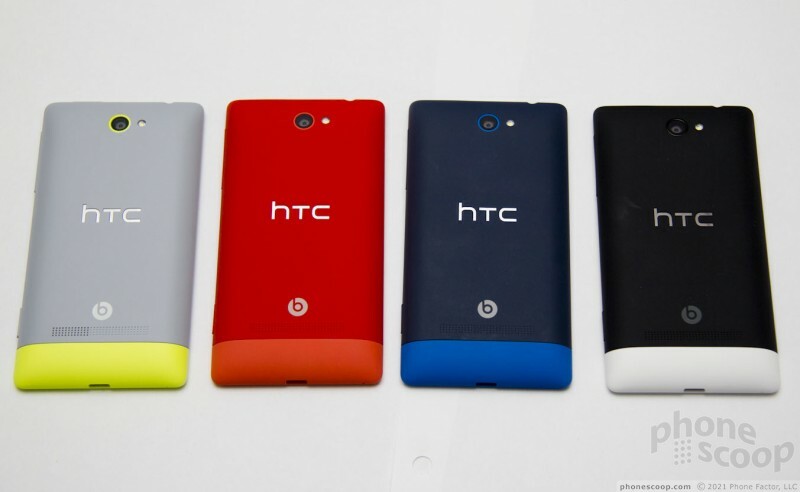 HTC's designers describe the design as like a soft live tile that had a puff of air blown into it, for a kind of "pillow" look. I'd say it looks more like a Chiclet, but that's not a bad thing. The design isn't radical, but it's just unique enough to be iconic. 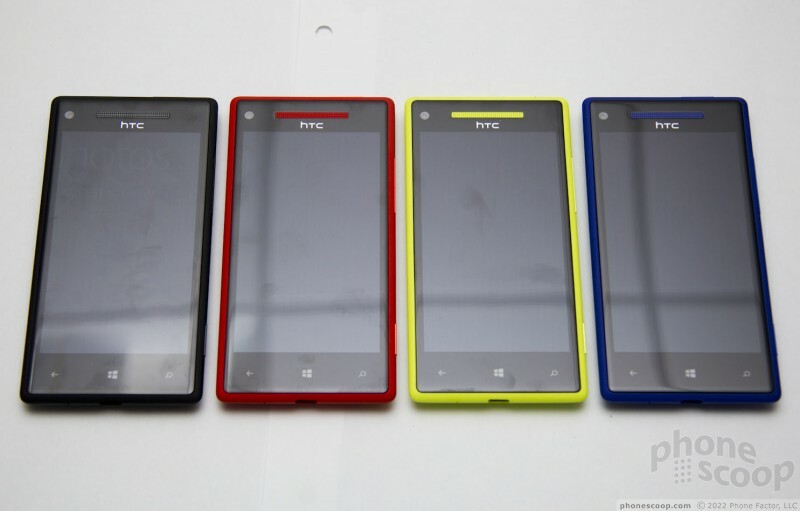 The phones look good in person, and the unusual variety of bold colors helps them stand out. 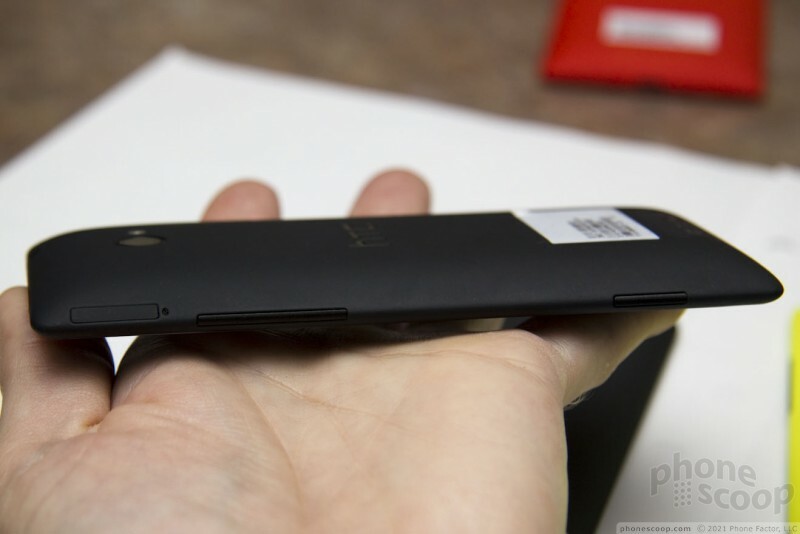 Both phones have a curved back that fits the curve of your hand perfectly. 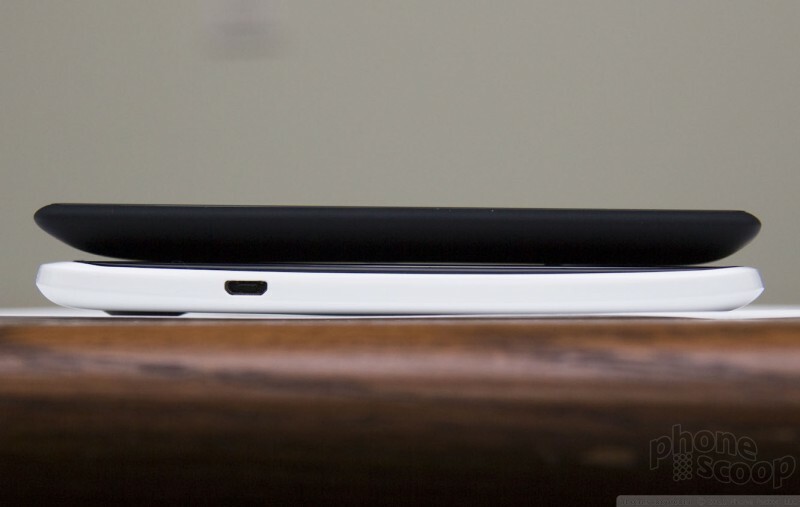 It manages to feel both thin and substantial. It's easier to hold than many of today's paper-thin slabs. 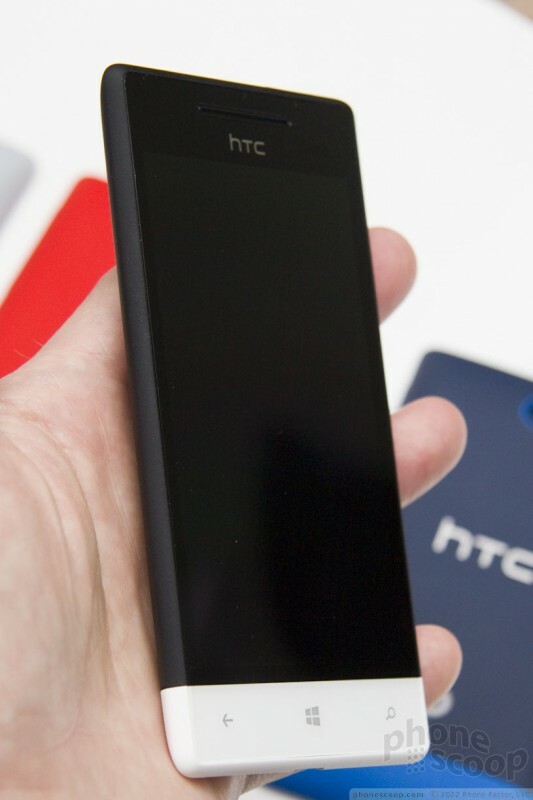 HTC achieved this shape - and kept the overall phone size down - with a unique design that sandwiches the battery between the display and the small main circuit board in back. 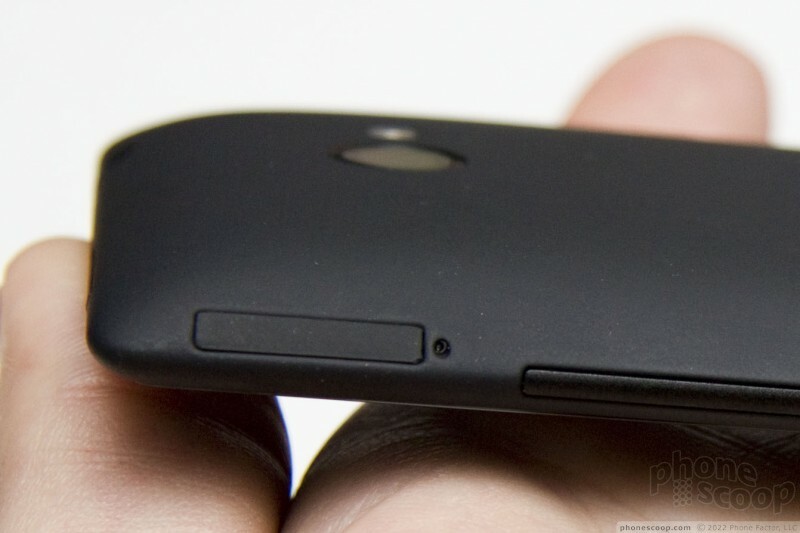 Obviously this makes the battery non-removable, but - for once - we can see the benefit in such a design. The 8X is on the big side. 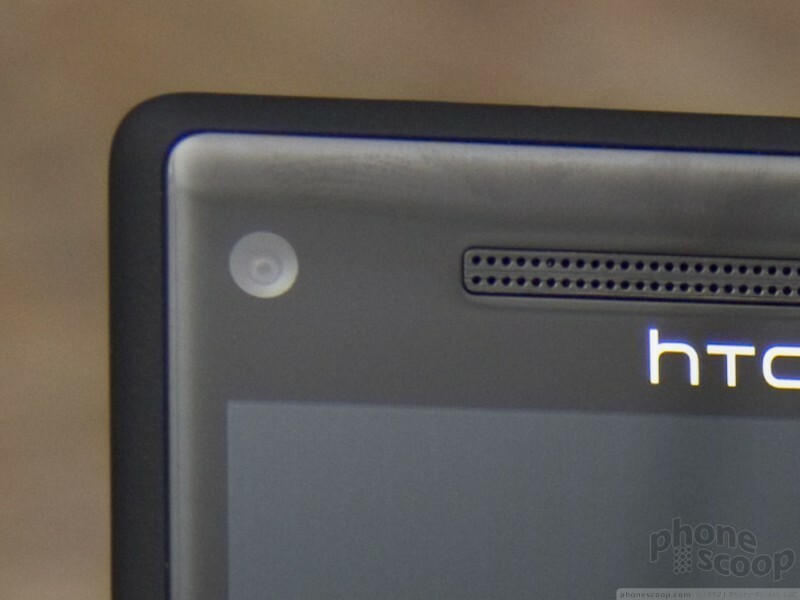 HTC didn't manage to minimize the bezel as much as they did on the One X, so the phone is large relative to the screen size. Furthermore, for most hands, your thumb will get a workout stretching to reach both the top and bottom of such a tall display. 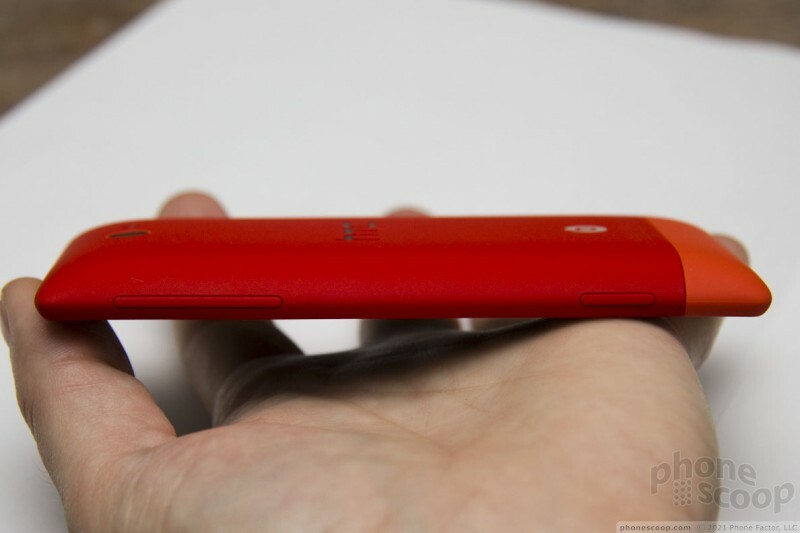 But again, the shape of the back helps it feel smaller, and makes it easy to grip. The 8S is much smaller. 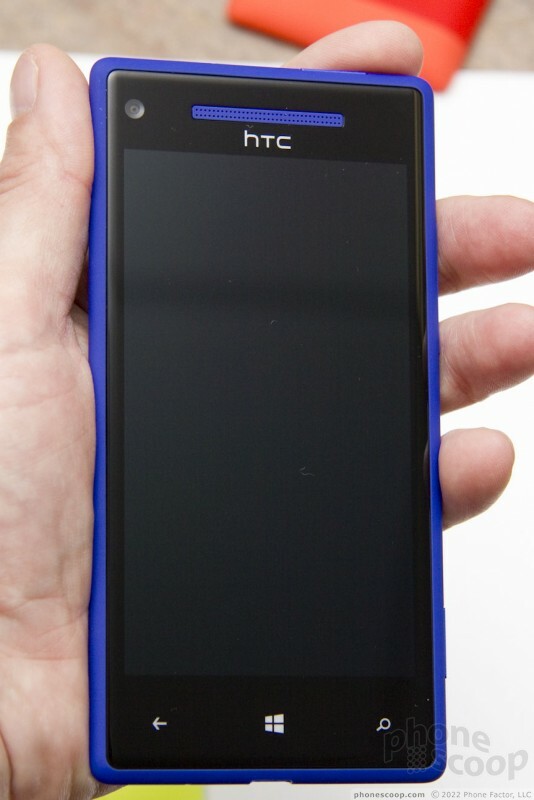 If large phones turn you off, you may find a lot to like in the 8S; it's a great size for those with smaller hands. It also has an extra touch of distinctive style with its bolder two-tone colors and contrasting color bar at the bottom, which wraps around to the back. 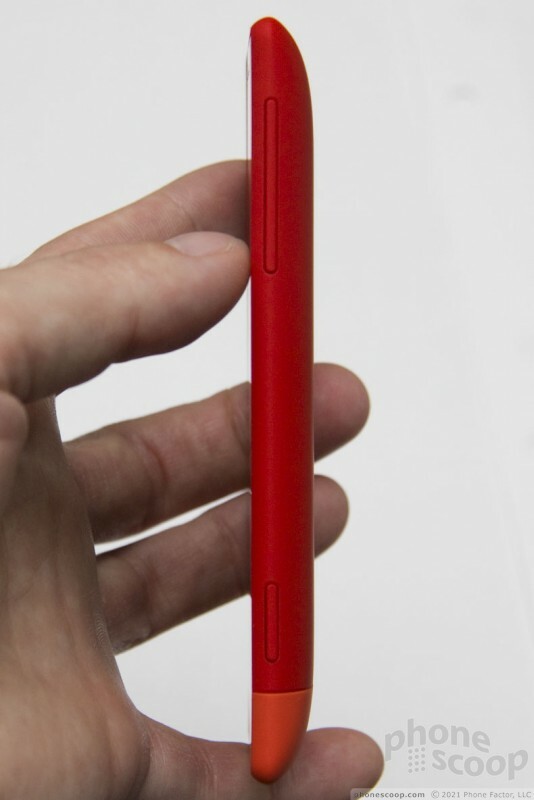 The color bar reminds us of the design of the One V in a way, but using color instead of a physical "chin" sticking out. Both phones have a good feel to them, although the 8X has a much more premium feel thanks to the gently tapered edges of the display glass. 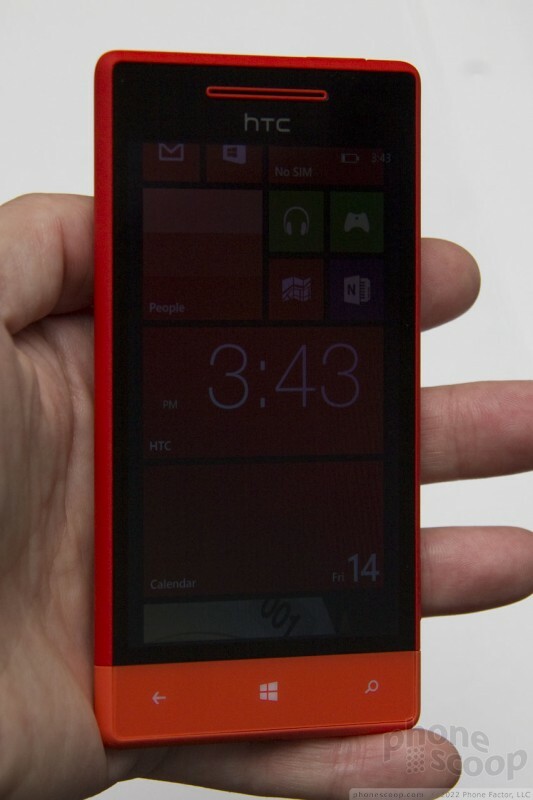 This gives it a sensual feel much like the glass on the One X and Samsung's Galaxy S III. The 8S has flat glass that's ever so slightly recessed, so there's a bit of a sharp plastic edge around the glass that makes the phone feel less refined. 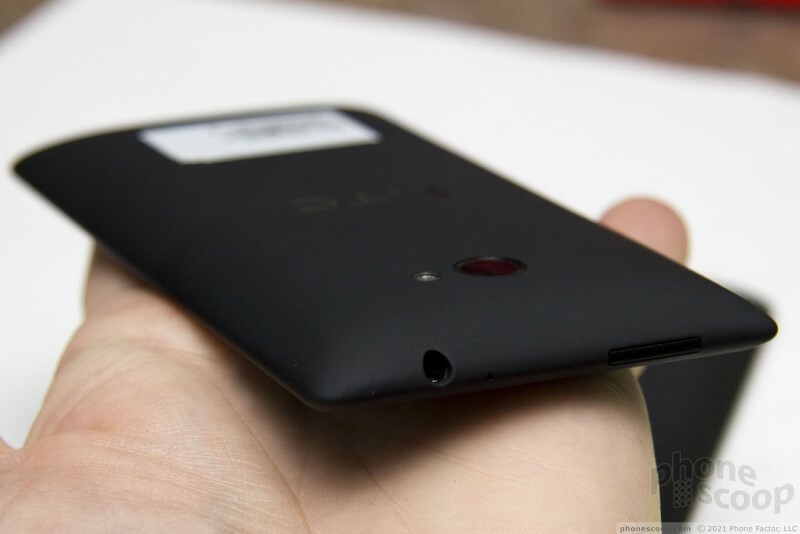 Both phones have a solid plastic body with a matte finish. 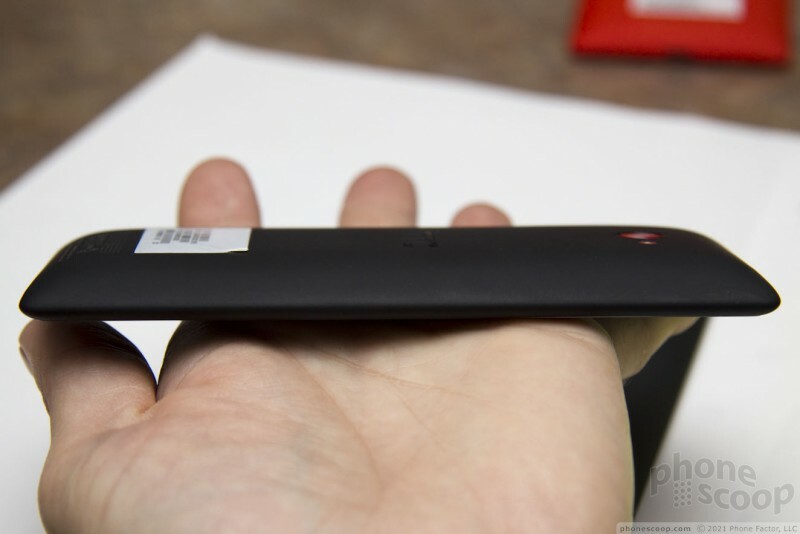 This is high-quality plastic like that used with the One X and it has a great feel to it. The surface texture is a luxurious matte that looks great, feels exquisite and improves grip, yet doesn't feel rubbery. 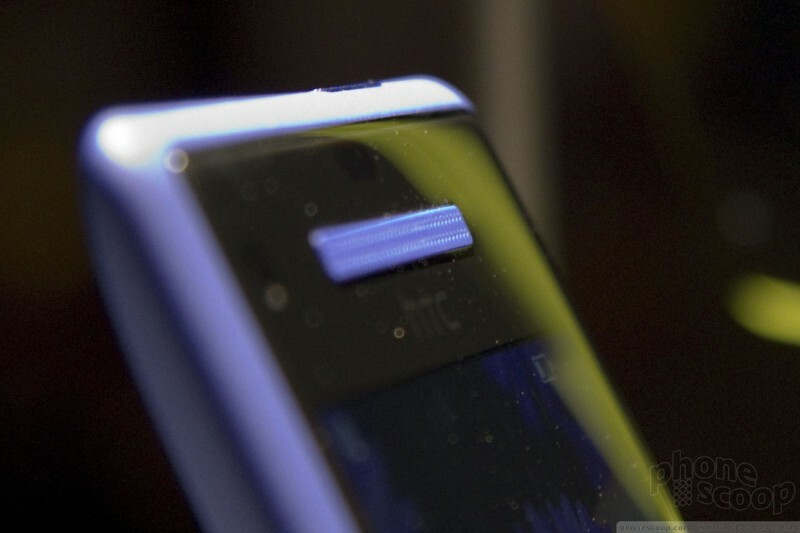 That's a tough balance that few phones nail; HTC has mastered it. The 8X also has a unibody design that makes the phone feel even more solid. The side buttons blend in with the design beautifully, and I found that they stuck out just far enough that I could find them easily with my fingers. But just barely; some people might find the buttons too flush with the phone. They could stick out more. They'll probably be impossible to use when wearing gloves. The 8X buttons are slightly metallic, whereas the 8S buttons are matching matte plastic. Unfortunately, Microsoft is still holding back certain final details of Windows Phone 8, so there's not much we can tell you about the software or performance when in use. We can tell you about the hardware specs, though. 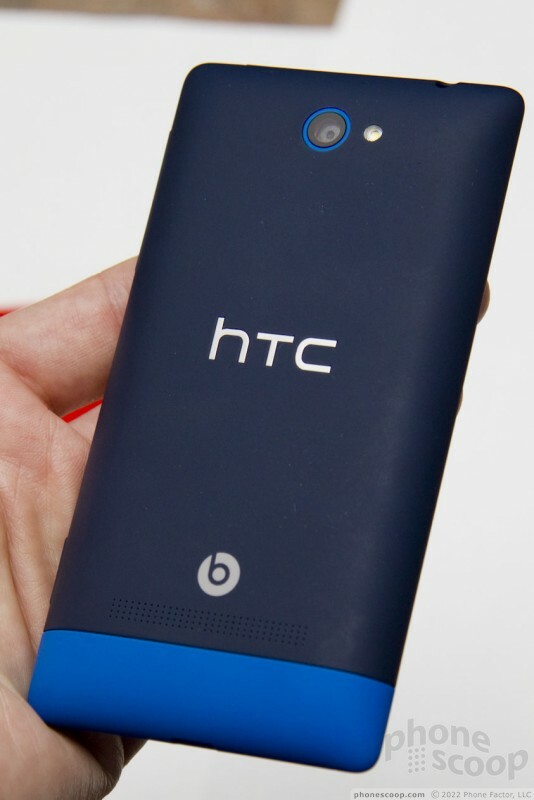 Both phones sport Qualcomm S4 processors, Beats audio, and HTC's ImageChip for enhanced camera performance. 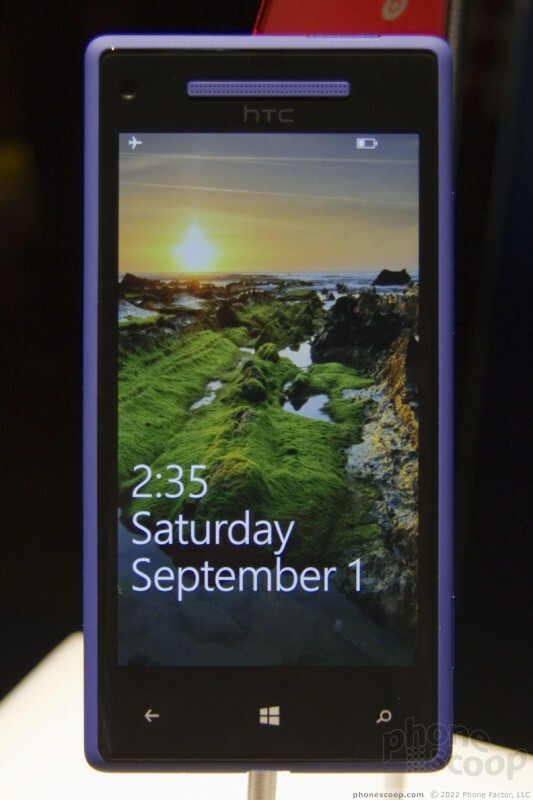 The Windows Phone 8X sports better specs in most areas. The screen is Super LCD 2, with 720p HD resolution. 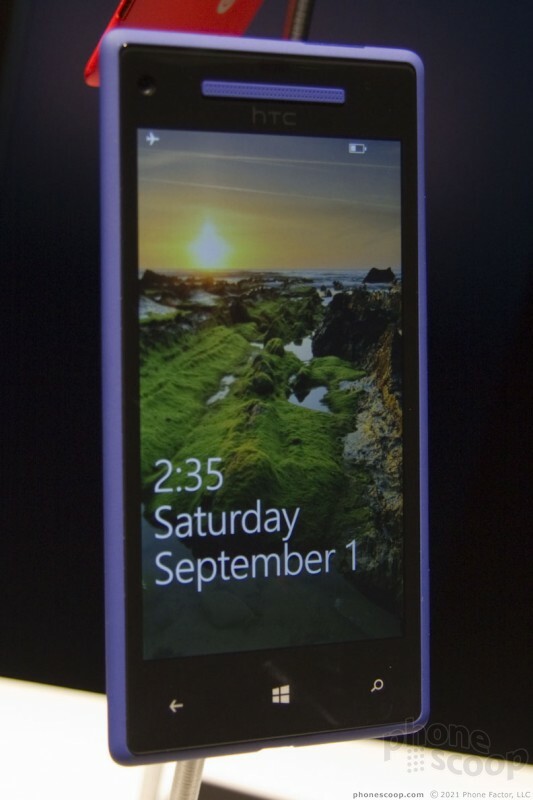 The camera is 8-megapixel with a backside-illuminated sensor and an f/2.0 lens. It can record 1080p HD video. It has NFC, for tap-and-go payments. And it has a front camera with a wide-angle (88-degree) lens that makes it possible to capture a photo of yourself and a friend or two while holding the phone at arm's length. The processor is what you'd expect these days: 1.5 GHz dual-core Qualcomm S4. In the U.S., it will have 4G LTE. 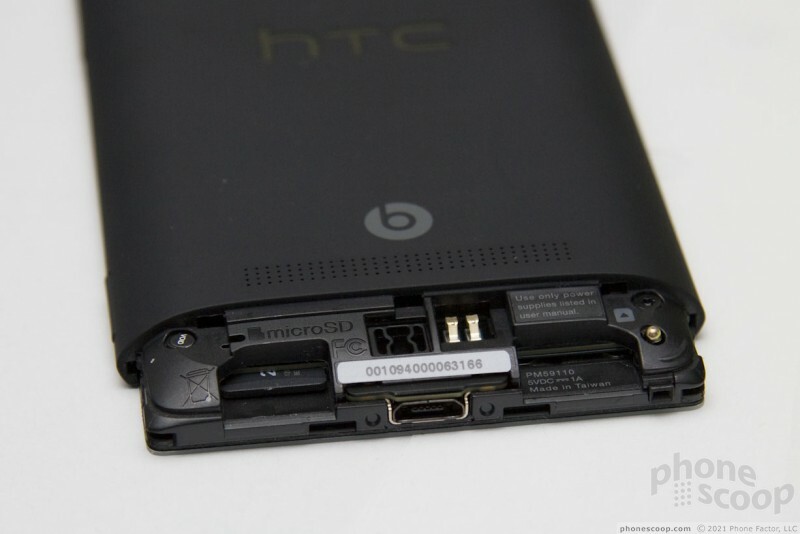 The 8X also has some unique audio hardware that HTC is particularly proud of: a 4-volt dedicated amplifier. Most phones only pump out less than one volt. 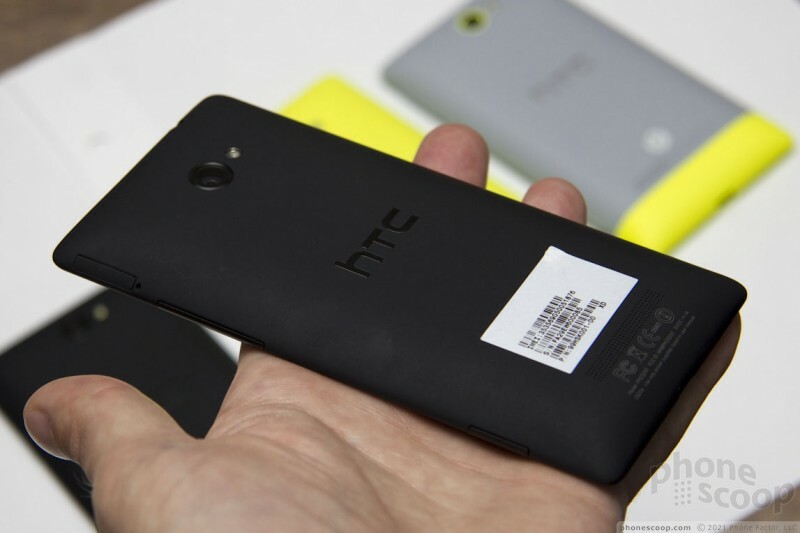 HTC's 4-volt amp is designed to improve the power and quality of sound through both the loudspeaker and earphones. 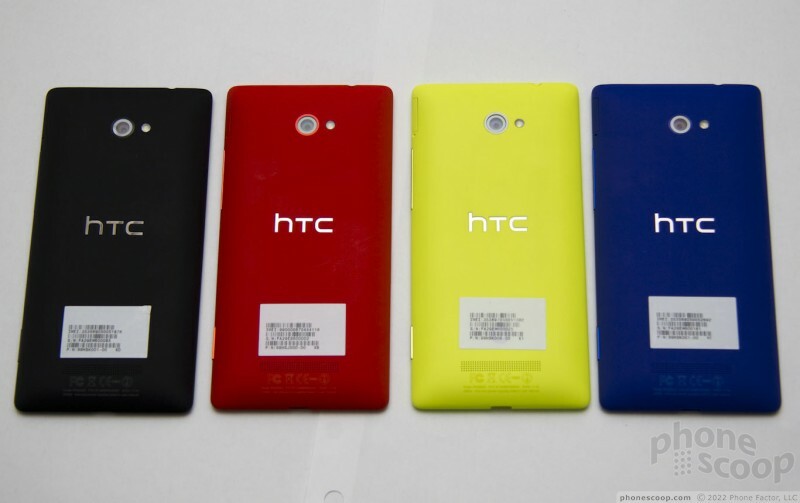 Although HTC isn't calling it "Sense", they have brought some of their trademark features over from their Android line. For example, when your phone is ringing, it will get quieter when you pick it up, or you can flip it over to silence the ringer completely. The 8S is a step down in nearly all specs, including camera resolution, display resolution, processor speed, and RAM. It also sheds NFC and the front camera. 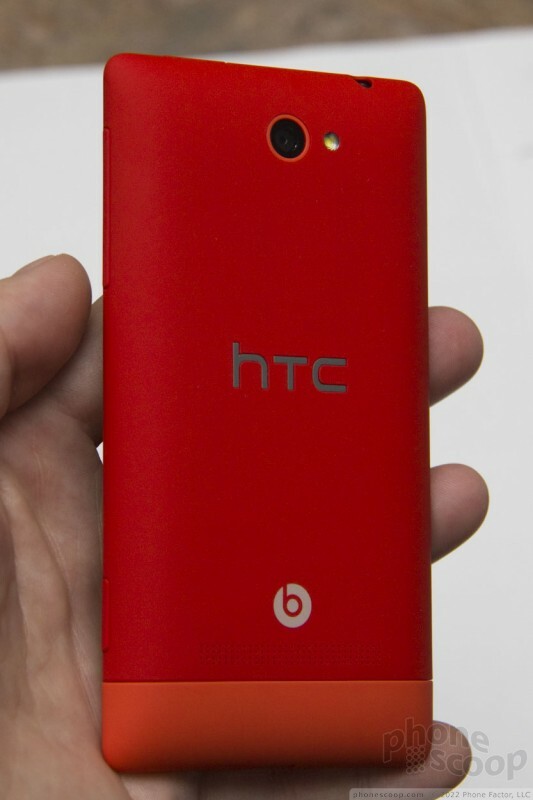 In HTC's vernacular, this almost seems like it should have been called the 8V, at least based on specs alone. Nonetheless, the 8S has all of the sexiness in hardware and software of its big brother - with an added splash of color - at what should be a great price. 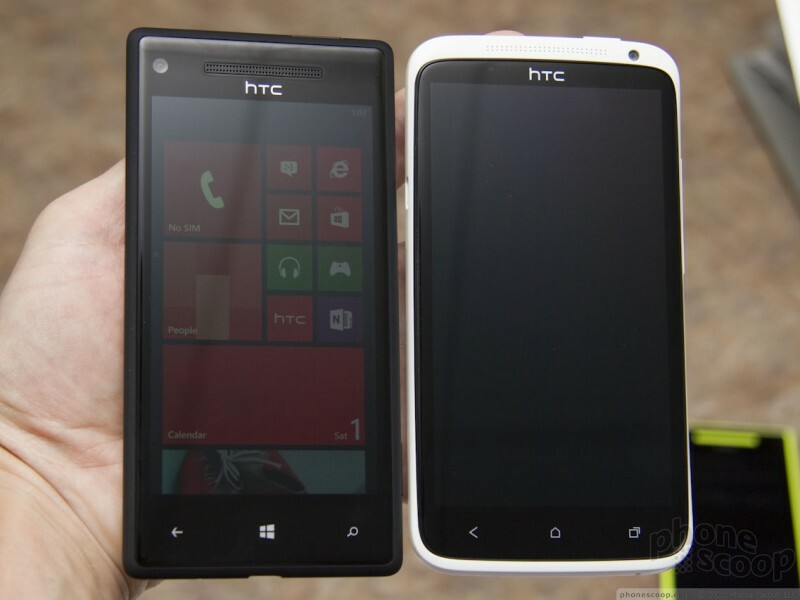 HTC promises that we'll see one or both of these models come to Verizon, AT&T, and T-Mobile in the coming months.